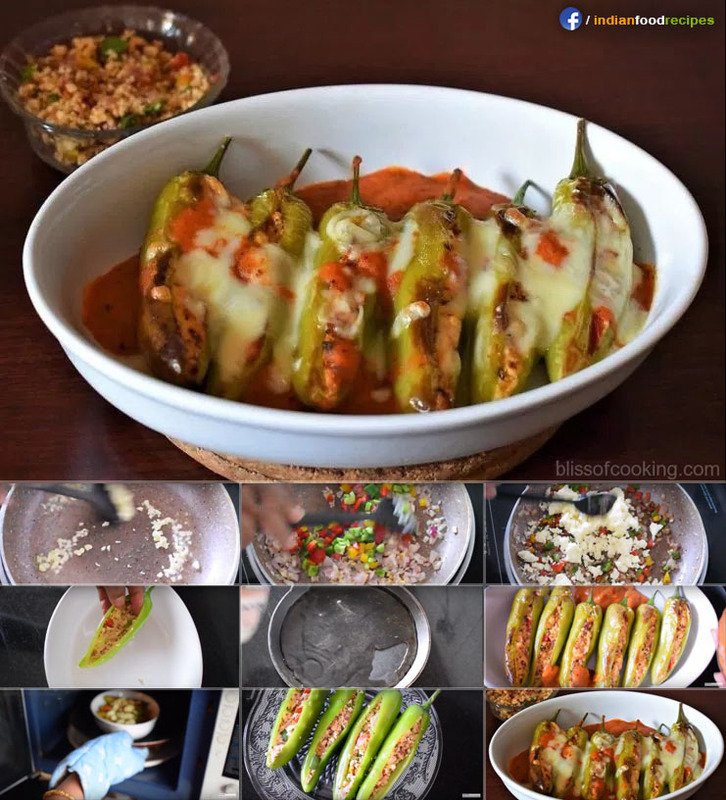 Mexican Stuffed Cheesy Peppers brings mexico in your kitchen. 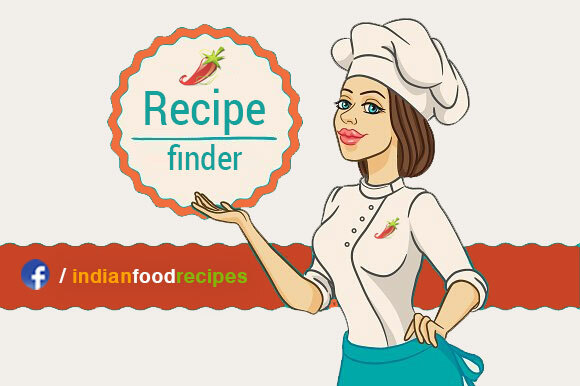 This easy recipe features green peppers stuffed with cottage cheese and vegetables. Grill them or pan fry them, they are equally delicious. 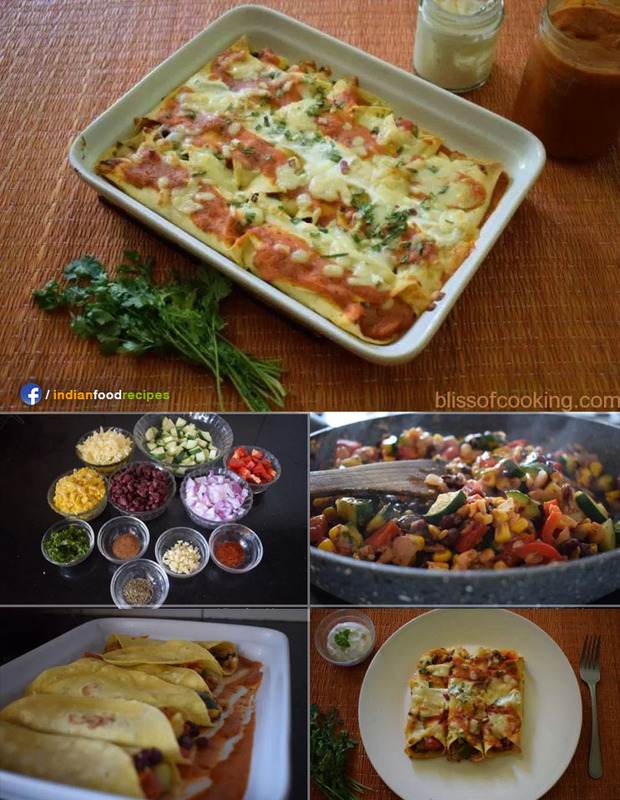 An aromatic filling made with seasoned cottage cheese, mozzarella, onions, red, yellow and green bell peppers / capsicum and topped with cheese and baked. Mexican Stuffed Cheesy Peppers are a vibrant, super tasty meal.